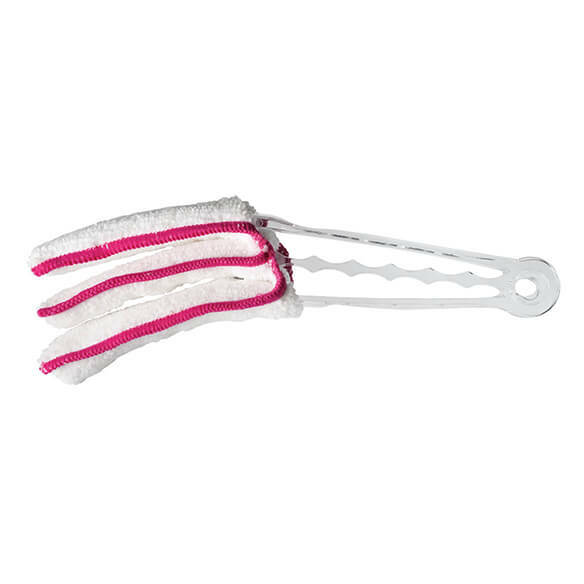 Make quick work of dusting blinds with this mini microfiber blind cleaner. Ergonomic design features a tong-style handle and 3-part microfiber cleaning head with dust-grabbing chenille texture. 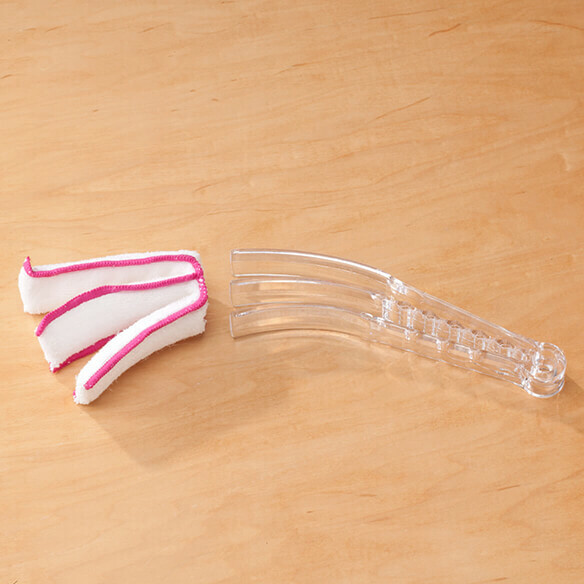 Simply squeeze the handle to press against blinds and glide back and forth. Gentle blind duster is perfect for all types of blinds, including wood, vinyl, cloth and aluminum. Removable cover is machine washable. Approx. 9"L overall. one works well. Very happy with it. easy to handle and get all blinds. Hope it makes blind cleaning easier ~ however wonder if the actual cloths are replaceable?